← What is Plaque, and Why is it Bad? Are Electric Toothbrushes Better Than Normal Ones? Your dentist has probably told you hundreds of times that you needed to upgrade to a Sonic toothbrush, but when you see the price tags on an intense cleaning electric toothbrush, you have to ask yourself — is it really worth it to have an electric toothbrush? The answer to that question is, yes. Why? It’s hard to remove all plaque and protect your gums manually. We just aren’t wired to keep scrubbing as hard or as long as we need to, and it’s almost impossible to reach every area necessary by hand. An electric toothbrush has a lot of power and can quickly and effectively scrub your teeth without putting a lot of pressure on your wrist. An electric, Sonic toothbrush has detachable heads for every size mouth and can be shared for cost efficiency. You won’t have to press hard to clean your teeth. You can move your toothbrush over teeth slowly and let the toothbrush do the other work. 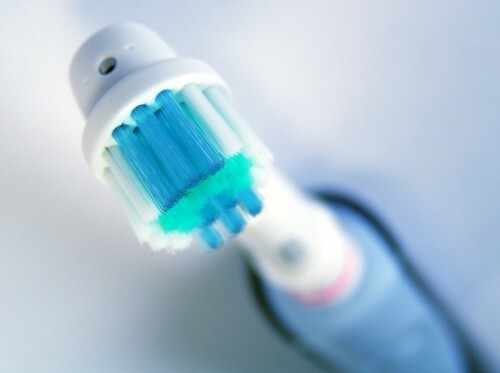 Like a manual toothbrush, you can select from a variety of heads with different textured bristles for sensitive teeth. You have options of different cleaning modes. Want a deep clean? Just select it. Electric toothbrushes control plaque better than manual ones. There’s a built in timer so you know that you have definitely put in the necessary time for clean teeth. Sonic toothbrushes are a lot easier for kids. Let’s face it, adults have a hard time scrubbing teeth efficiently. Kids can definitely use some guidance. Electric toothbrushes do not inflict the pain on your gums that regular ones do, so it’s more likely that you’ll maintain clean gums using an electric one. As you can see, there’s no reason not to upgrade your toothbrush, but a lot of reasons why you need to. When switching to an electric toothbrush, we recommend a Sonic, wall charging toothbrush. They’re more powerful and you don’t spend bundles of money replacing the AA batteries. Unlike a regular toothbrush, that you SHOULD replace every three months, a Sonic electric toothbrush lasts forever! Why wouldn’t you make the switch?